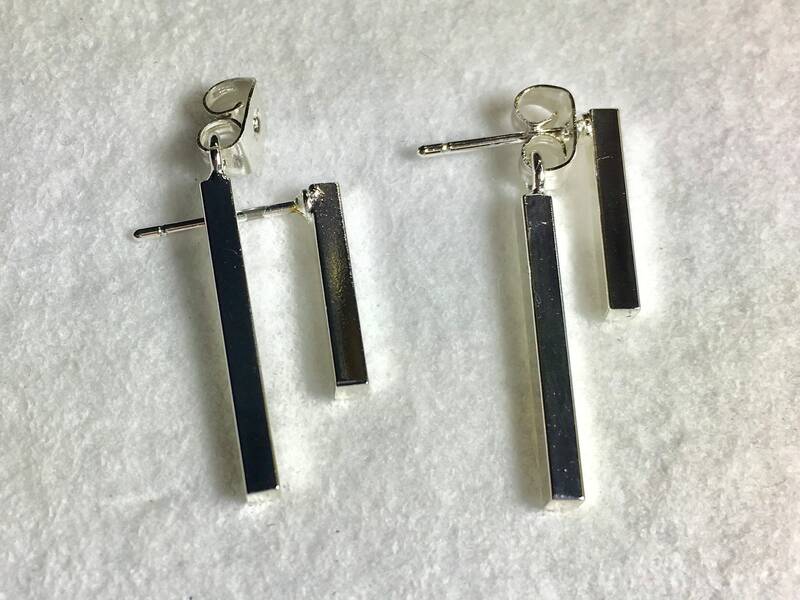 Silver Fashion Double Square Bar Post. 3/4” Front and 1 1/4” Push Back. Classic Simple Elegance. You are gonna wear these everyday! Silver Plated. 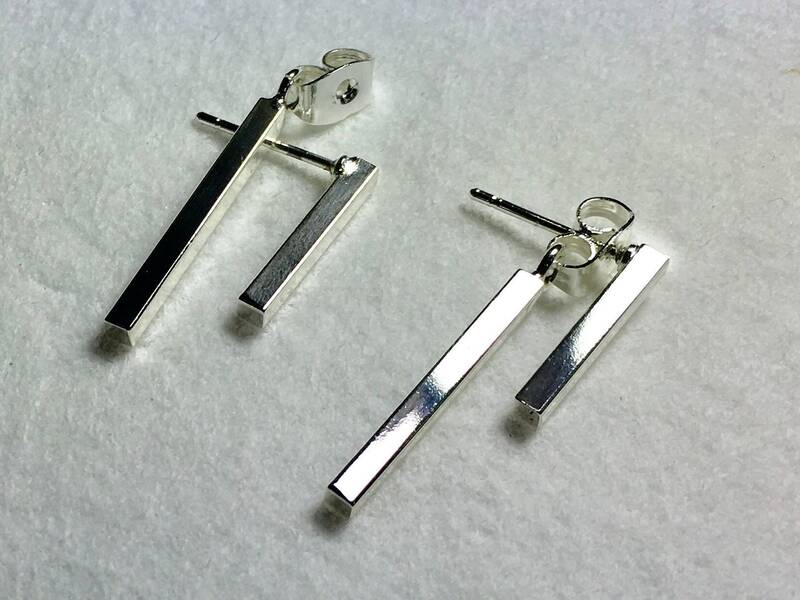 Earring Bars overall length measures 1 1/4” long. 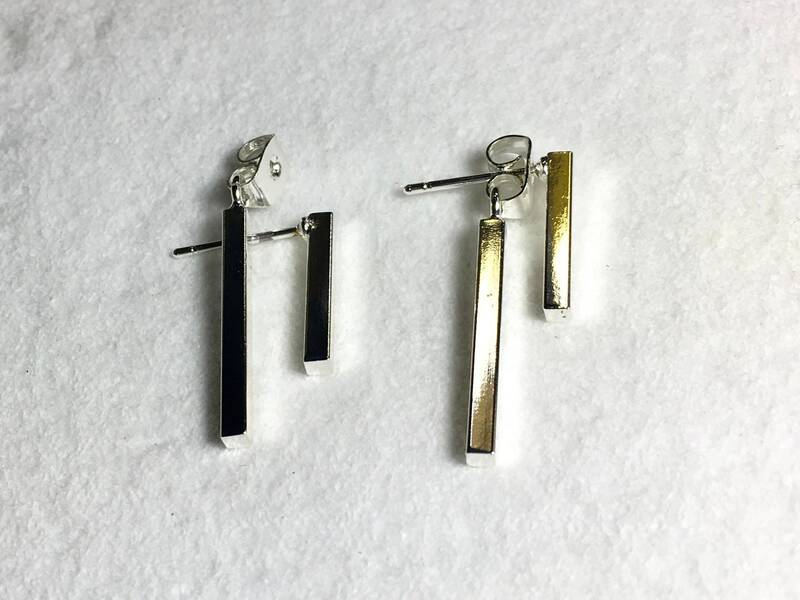 The Bar Earrings are about 1/8" wide.